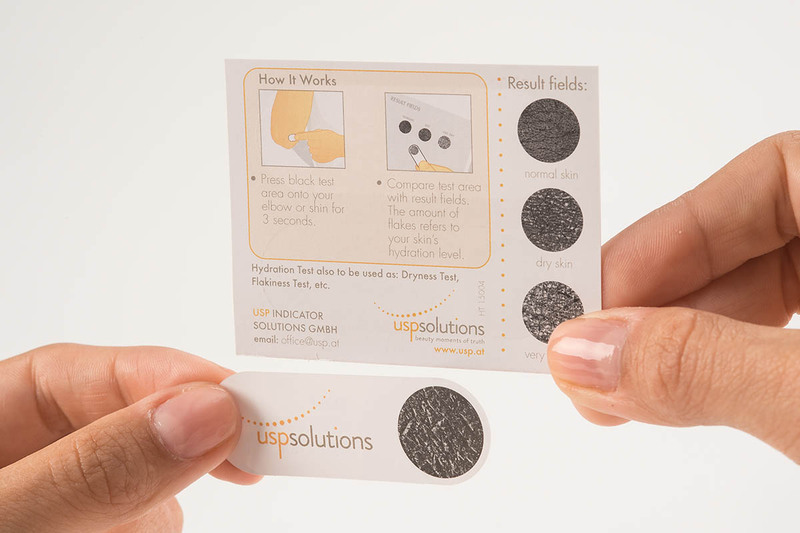 USP Solutions’ Hydration Test is a reliable, easy-to-use test and appeals to your consumer’s senses – enabling them to touch and feel your brand, thus emotionally engaging them. 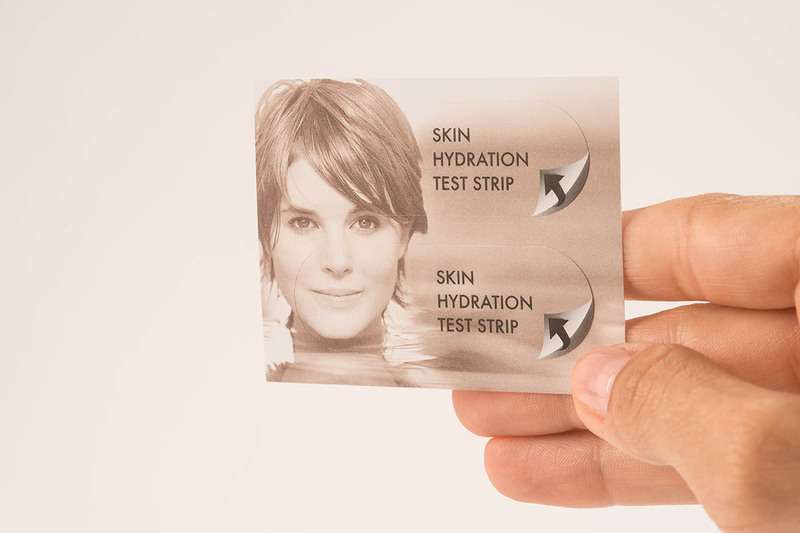 The Hydration Tests adhesive test area removes dead skin flakes from the skin’s surface. The more skin flakes removed, the drier the skin is. 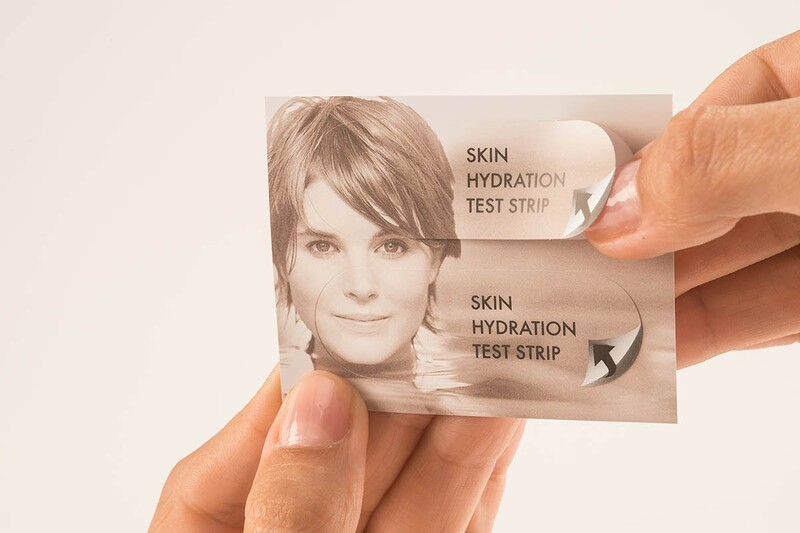 This knowledge about his/her level of dry or hydrated skin, combined with product information guides consumers to purchase their appropriate body care selections from your brand! 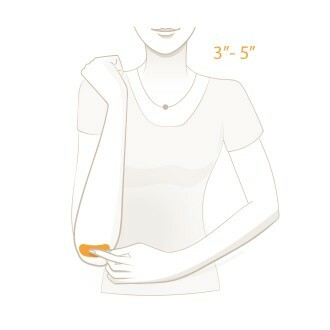 When consumers learn about their body care needs, they experience an “A-ha” moment. This emotional experience is also referred to as “Beauty Moment of Truth”. The Hydration Test therefore creates an engaging consumer experience, whilst guiding them to the right product choice which is essential when it comes to brand trust and brand loyalty. 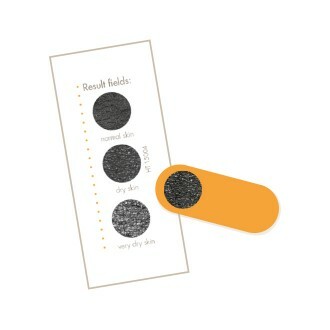 Most body care brands offer a wide variety of product choice from sensitive to oily skin, etc. 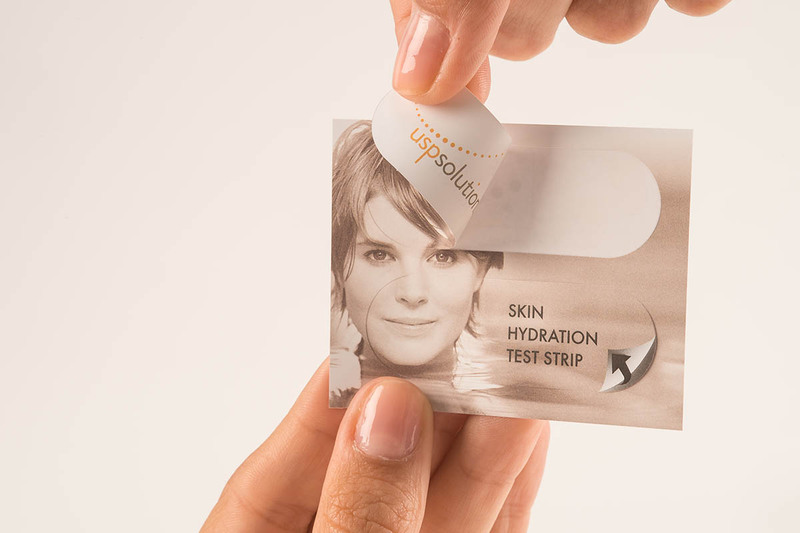 However, consumers are often unsure about their skin type. Consumers often feel overwhelmed by what is offered in stores and online. Uncertain about their skin and body care needs, they find it difficult to choose “the one”. How do they know if the product delivers what it promises? How hydrated or dry is my skin? We provide Marketing Executives like yourself with multisensory Brand Activation Tools which engage consumers and enable them to experience a brand throughout various channels. 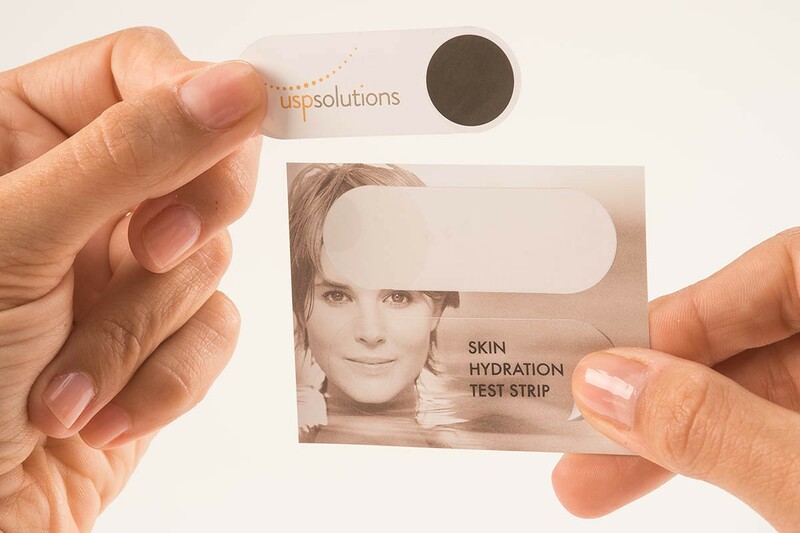 The USP Solutions Hydration Test enables your cosmetics brand to design an emotionally engaging and tailor-made “Beauty Moment of Truth”. 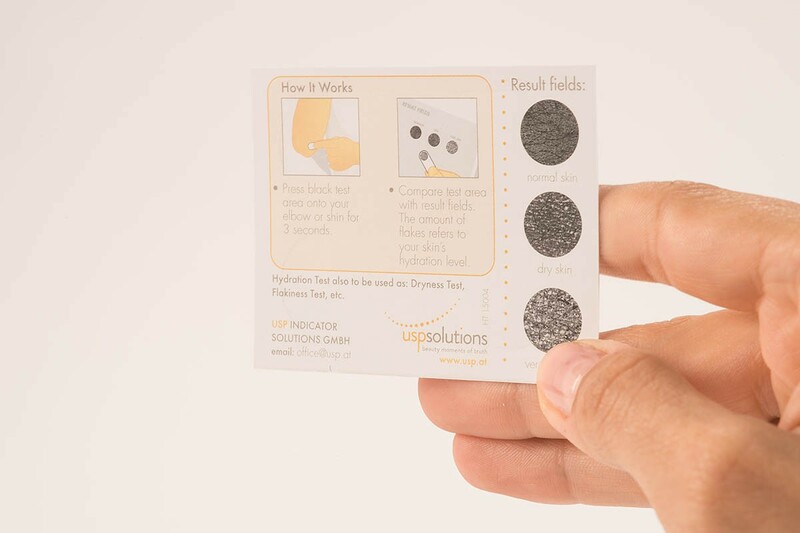 We can easily customize the Hydration Test and adjust size, shape, material, printing effects and more – so the tool perfectly reflects the uniqueness of your brand.